There are plenty of juice bars across the country serving up juices and smoothies to a growing group of health-conscious consumers. But what people often don't realize is that many of these brands use processed and sugary ingredients that make their products less healthy than they might appear. This is one of the many elements that differentiates QWENCH from the pack and makes the brand a leader in the category. QWENCH is passionate about creating and serving the most natural and nutritious ingredients in all of its products from their massive açaí bowls to their protein-based lunch bowls. You won't find any artificial sweeteners, formulated supplements, powders, frozen yogurts, or concentrates in the store. But at QWENCH you will find healthy and amazing tasting smoothies, raw juices, bowls, and food options - all nutritionally enhanced with superfoods and natural ingredients. The brand is emphatic on only using raw fruits and vegetables for its juices as everything is made to order right in front of the customer. Another unique advantage and feature of QWENCH, says Mitchell Baker, the brand's chief marketing officer, "We don't mask our blends with sherbets and frozen yogurt, instead, we let the fresh fruit and nutrient dense foods permeate when blended, allowing for a silky texture and an invigorating taste." It's easy to see how QWENCH's one-of-a-kind all-natural products distinguish the brand from the competition. But, says Baker, there are additional "Wow" factors that make QWENCH stand out from the crowd. For example, the store layout offers a unique and modern style, with an extremely original experience and presentation. 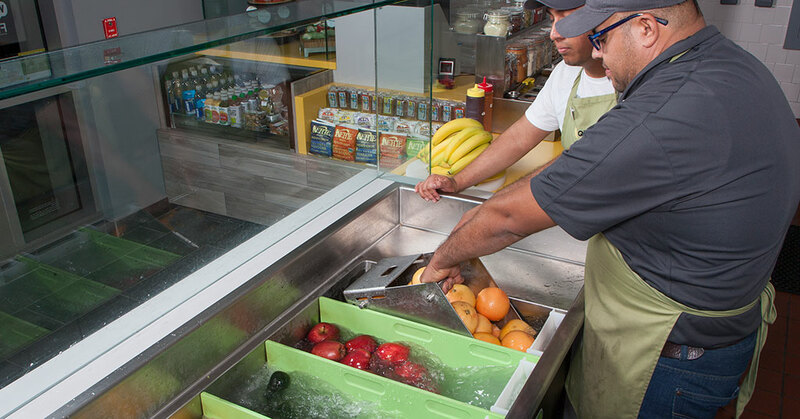 Right off the bat, customers see fresh fruits and vegetables in a large custom-tailored bin. The display is front and center and showcases the brand's commitment to freshness, and health, plus it's enhanced by a system that mists the product every 5 minutes helping to keep everything fresh and crisp. The market-like vibe helps maintain quality hygiene. Then there's QWENCH's original, custom-designed front counter produce washing system. 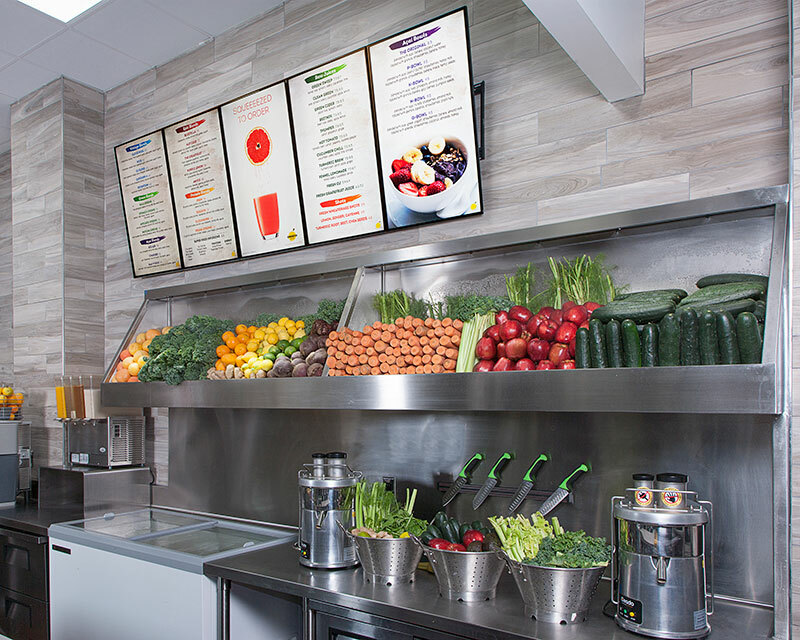 The unit is located right next to the point of sale machine, and bathes all of the produce prior to cutting and juicing while keeping vegetables and fruits clean as it rotates throughout the day. The process also removes residue dirt with the agitation of an antimicrobial solution. This sleek and modern store environment "wows" customers who come to QWENCH everyday. And it's this unique and original approach to serving up fresh, healthy juices, smoothies, bowls, and food that keeps them coming back again and again. For more information on becoming a QWENCH franchisee, visit https://qwenchjuice.com/franchising.